We are currently collecting white papers and articles to create a library of resources to benefit you and all those working in faith-based development. Do you have a piece you could share, or an idea you've been thinking about putting down? Or, do you know someone who has something to impart? Please contact Jon at [email protected]. 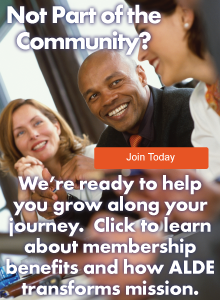 To view these resources click any of the links, and you'll be asked to log in as a member. In 2006 the Association of Fundraising Professionals (AFP) and the Center on Nonprofits and Philanthropy at the Urban Institute established the Fundraising Effectiveness Project to conduct research on fundraising effectiveness and help nonprofit organizations increase their fundraising results at a faster pace. The project goal is to help nonprofit organizations measure, compare and maximize their annual growth in giving. The FEP Fundraising Effectiveness Database housed at the Urban Institute is available free to nonprofit sector researchers on request. The groundbreaking annual Fundraising Effectiveness Survey, piloted in November 2006, collects fundraising data from nonprofit organizations beginning with data for 2004-2005. The Fundraising Effectiveness Survey enables participating nonprofits to measure and compare their fundraising gain and loss ratios to those of similar organizations. 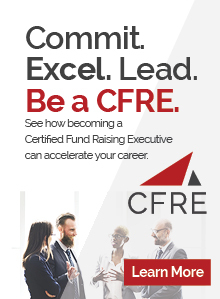 ALDE Board Member Heather R. McGinness, CNM, CFRE, worked on this Donor Retention Supplement to the survey report and we're proud to share it with our members. It is not uncommon to hear professional development and continuing education related to fundraising and development dismissed as unimportant. For some detractors, there is a feeling that “professionalizing” fundraising diminishes it as a ministry. This is easily refutable, given the training our religious leaders undertake in seminaries, the education those in healthcare ministries receive and certifications required for serving in education ministries within schools. Surely the time spent gaining specific knowledge for those ministry areas is beneficial. Applied studies in ministry programs develop and sharpen skills and ensure the highest level of care and service are delivered. Professional training serves to enhance, not detract from, ministry. Read the full text. I believe one of the most difficult tasks any organization runs across is deciding to move to different software and not knowing what steps to take to make the right choice. Here is what I recommend based my personal experience, which includes both positive and negative choices. What do you want to get out of the software? What are your limitations with your current software? Who are all your users? There are many sea changes in the world of grants and funding, but insights are available to help you in navigating the bumpy waters of grantseeking. One source is the free reports that result from the biannual State of Grantseeking Survey. The spring 2015 survey received 1,824 responses from foundations, educational institutions, service agencies, government entities, independent grantseekers and many other interested parties. This data can help your organization manage expectations — board member expectations, donor expectations, etc. — and assist in organizational planning, development and budgeting. Read the full text. Are you maintaining this vital gift source? Download our free tool, the DonorTrends Move Your Metrics Donor Retention Calculator, to determine the state of your program and identify areas for improvement. Get this tool.